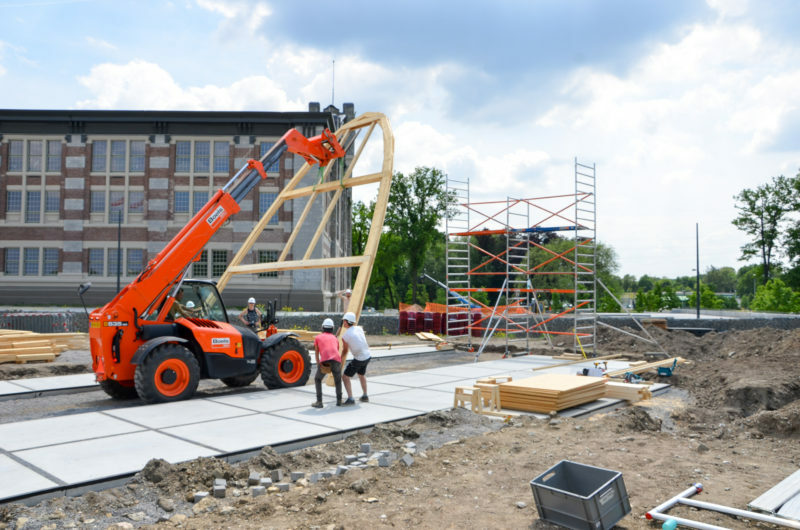 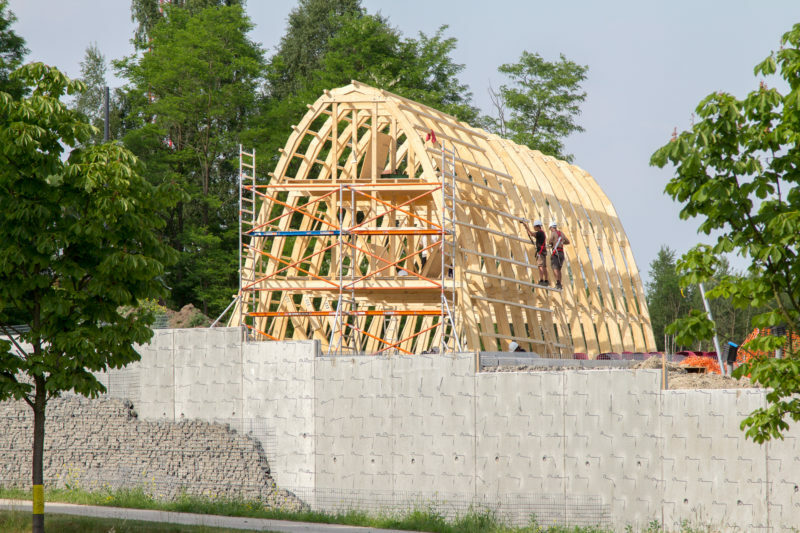 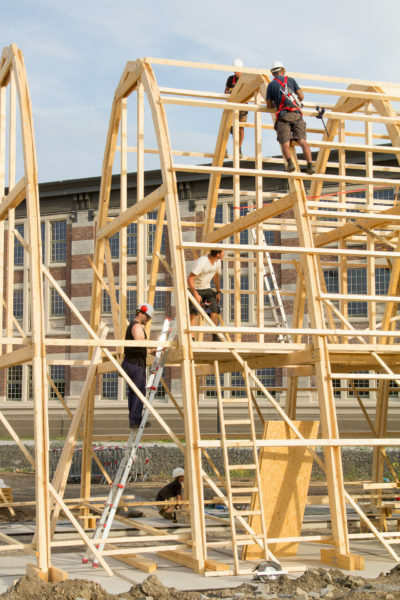 The construction of The Arch has begun in Genk! 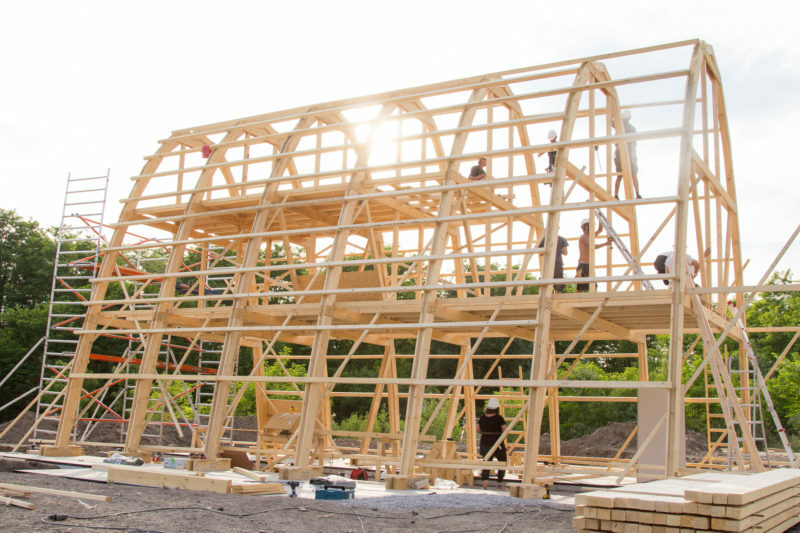 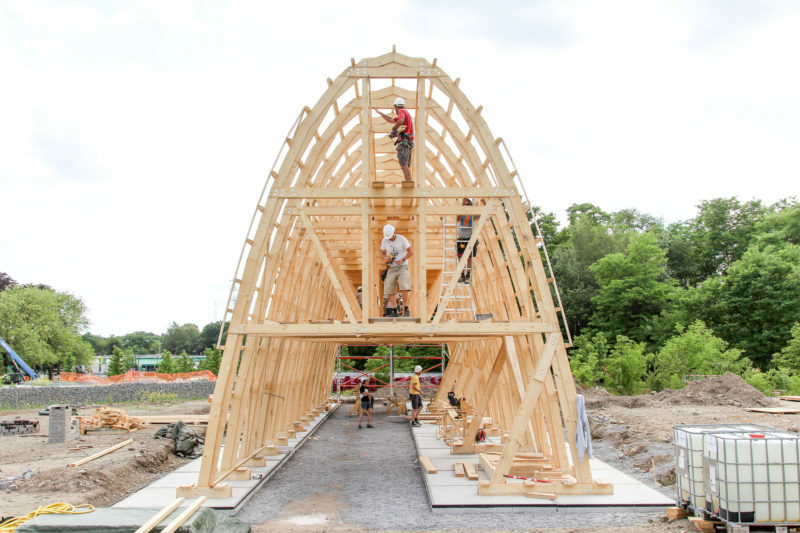 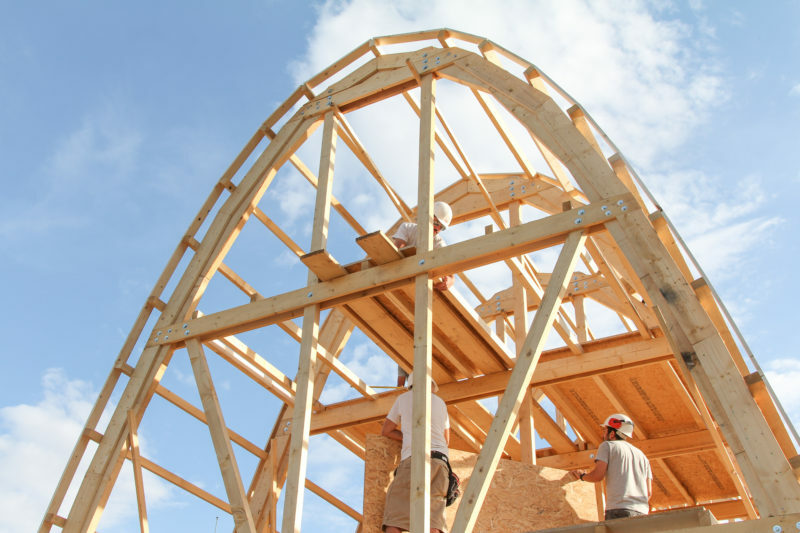 In less than two weeks wood was cut and bolted into 14 arches and erected to form the support structure. 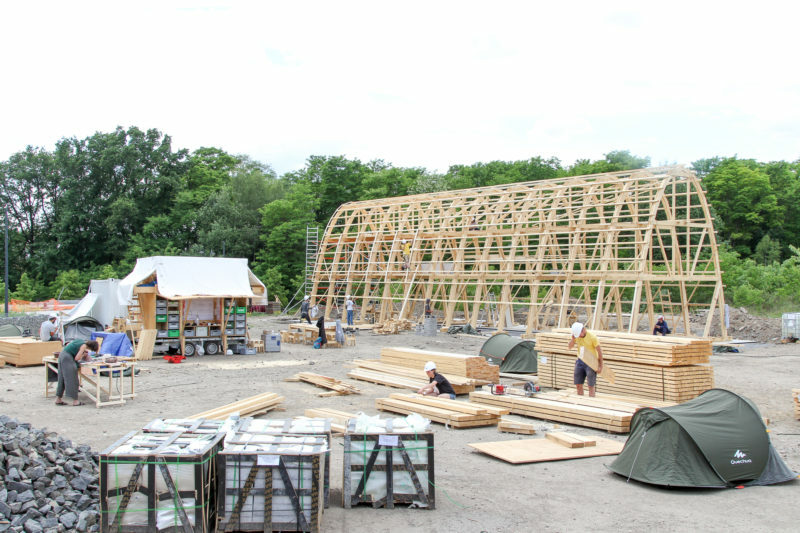 We are now preparing the inhabitation of the structure by building a kitchen, washing place, dining area, sleeping compartments and dormitory. 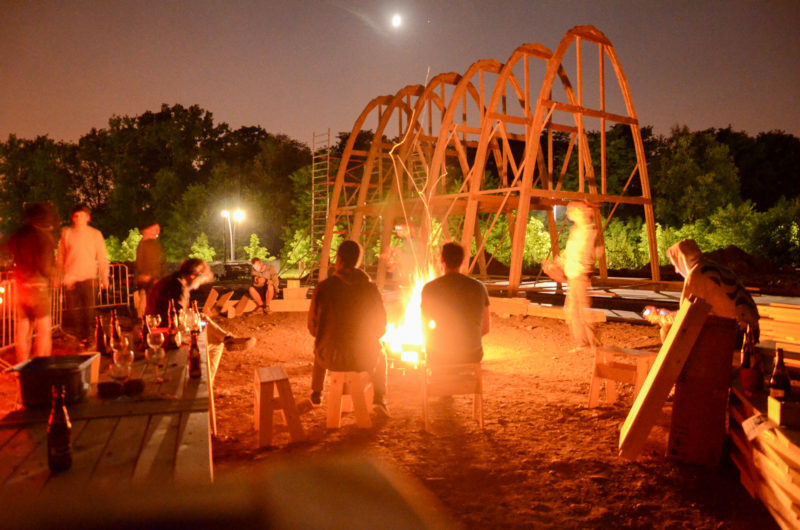 The Arch as a support for working and living together convivially this summer! 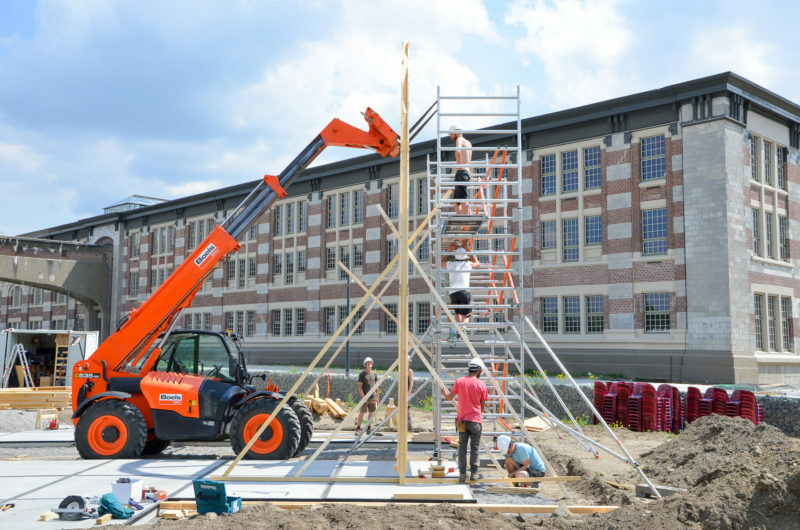 In the meantime a fire kitchen is being prepared by Johanna Dehio and Mascha Fehse for our first public event with the neighbourhood. 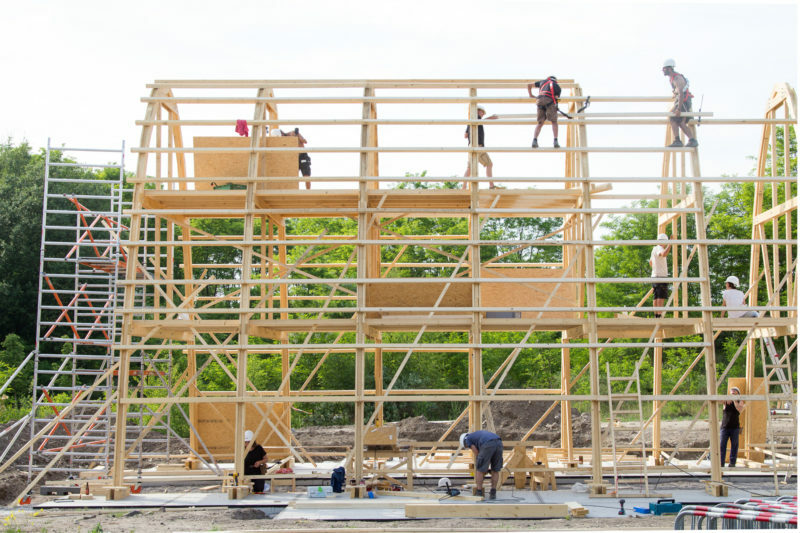 If you are interested in joining us this summer, our open call is still open for the Arch Building workshop 21.08 – 02.09 (more info here).